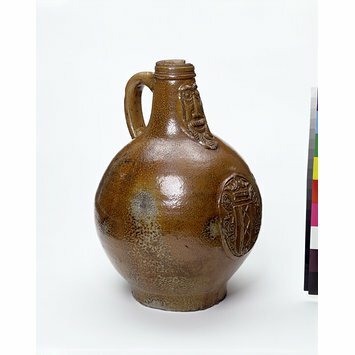 In the 16th and 17th centuries German stoneware bottles provided much of Europe with the toughest vessels available. Being general-purpose containers, their capacity varied considerably, ranging between about a pint to a gallon. Because of their extra strength, the smaller sizes have survived in greater numbers. 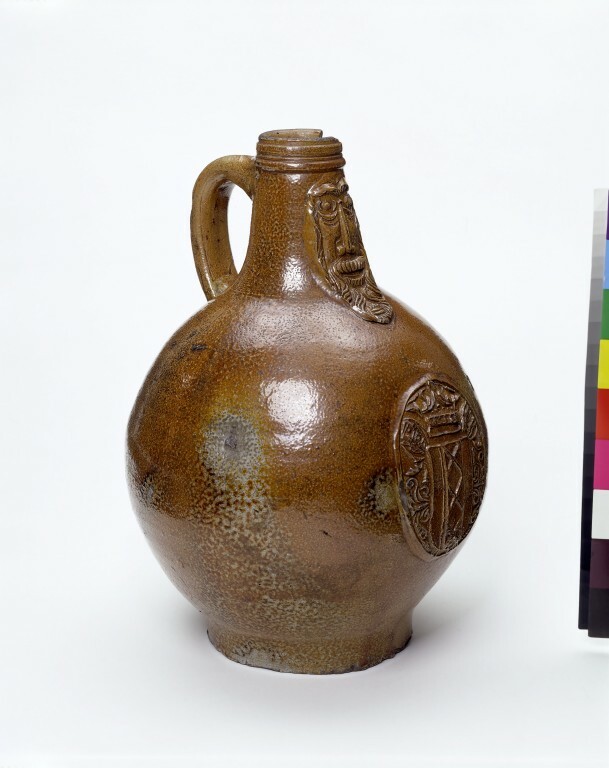 The millions of stoneware bottles imported from the Rhineland into London by Dutch shippers found homes at many social levels, from kitchens to taverns and modestly-furnished dining tables. By the end of the 17th century, however, they were no longer required: stoneware storage bottles were being mass-produced in London, while the black glass wine and beer bottle, and the clear glass decanter, had completely taken over these functions on the dining table. By the early 19th century, bottles that had survived above ground became desirable antiquarian artefacts for the homes of collectors. This market was soon fuelled by regular excavation of these almost indestructable bottles, yielding, for example, blackened survivors of the Great Fire of London, barnacle-encrusted bottles from shipwrecks, or perfect specimens that emerged from the ground without blemish after two or three centuries. In Protestant Northern Europe the bearded masks of these ubiquitous stoneware bottles were soon exploited to lampoon a champion of the Counter-Reformation, Cardinal Bellarmine (1542-1621), as well as the Duke of Alba (died 1582), the ruthless Spanish general and administrator who was the scourge of the Spanish Netherlands. Collectors in the 19th century usually referred to these bottles simply as 'greybeards' but the German term 'Bartmann' (bearded man) is now increasingly used. The arms of Amsterdam on this example were clearly designed to appeal to one of the Rhineland potters' main markets, Holland.